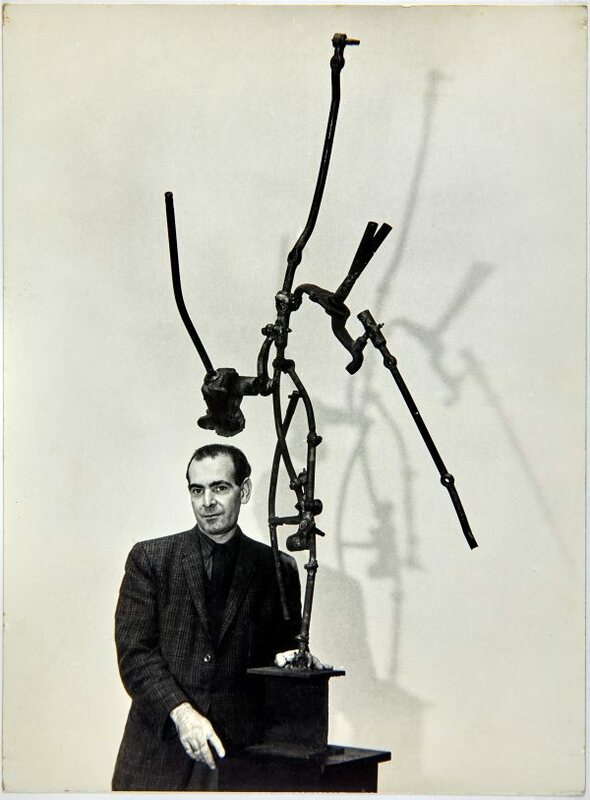 In August 1958 Robert Klippel began teaching sculpture at the Minneapolis School of Art, where he remained until 1962. During this time he separated from his wife Nina, who returned to New York. In June of 1961 Klippel held an exhibition in the Little Gallery of the Minneapolis Institute of Art. Klippel recalled that he welded parts of an old car into this sculpture while a blizzard raged outside his workshop. Not signed. Dated u.l., verso, ink "October 1961".